Most people love hip opening poses. A lot of people also love arm balances. This practice combines both to help you build strength while opening up the hips, and hopefully having a little fun along the way. Enjoy! A deep investigation of the hips - how to open them, how to relieve pain in them and most importantly, how to make them more mobile. Enjoy! 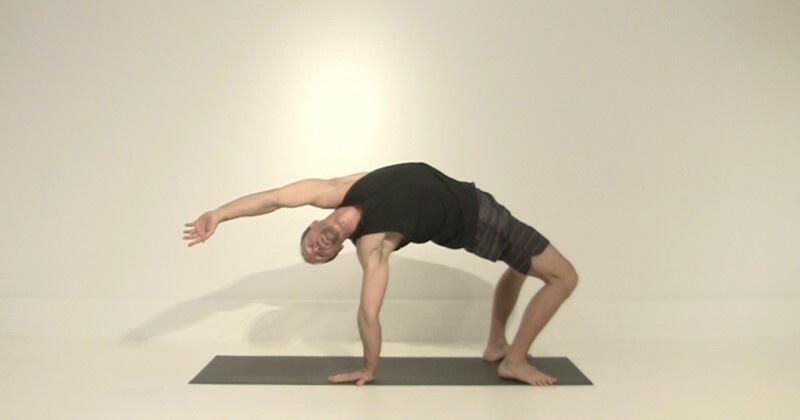 Stretch, strengthen and challenge your edges with this fun, dynamic full body flow...breathe deeply and enjoy! A nice and (mostly) gentle practice to help you wake up, open up and prepare your body to go deeper. Perfect for shaking off a long day of work, or warming you up for a longer practice. Enjoy! It's a myth that "basic" equals "boring". This practice breaks down some of the most basic poses in a way that teaches you to stay curious so that you can continue to make the discoveries that will ultimately lead to increased strength, flexibility and overall awareness. Enjoy! A gentle exploration of the hips, hamstrings and lower back. Take your time. Breathe deeply. Let yourself get loose. This practice will put you in a good place. Sometimes you just need to take it slow for a little while before you feel like pushing your edges a little harder. This practice will ease you into your body, gradually getting you ready to go a little deeper and work on some more challenging poses. Breathe deep, yogis, and enjoy the journey!